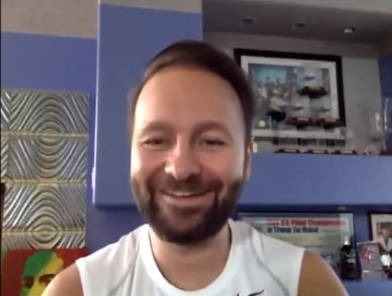 In this latest installment of our ongoing Get to Know the Poker Media series, we have the privilege of bringing you an interview with Sean Chaffin. The idea of having Sean be a part of this series first popped into my head over this past summer, when he and I met for the first time at the World Series of Poker. I had long been a fan of Sean’s work, but as often happens when a relationship is limited to the online realm, I didn’t really know much about him personally other than that he was from Texas. We got to talking and he happened to make mention of the fact that he was actually a schoolteacher. That fact totally blew my mind! Right away I said to myself “this guy has an interesting story – probably lots of them; I’ve gotta hear ’em.” Our time was limited, of course, with us both working and having just stopped for a quick bite to eat, but I promised that I would eventually follow up. Months later, I’m so happy to have finally “gotten those stories” I had hoped for. 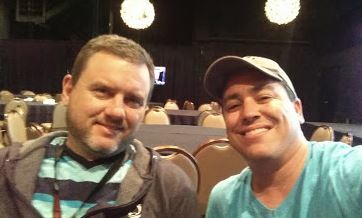 Without further ado, then, I hope you enjoy getting to know one of poker’s great writers (and soon-to-be podcasters) Sean Chaffin. How did you first get into the poker industry and for how long have you been doing poker media work? 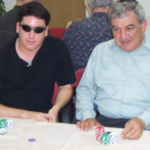 I grew up playing poker with my father and brother. My dad retired from UPS and has had a game with a bunch of his buddies for decades. They play all sorts of crazy games, and he would grab my brother and me when they needed a player or two. I guess I started playing in seventh grade. I graduated from Texas A&M in 1997, and began reporting for various newspapers around Dallas and even owned a weekly newspaper for a few years. I now teach high school yearbook and newspaper, and began freelance writing several years ago. 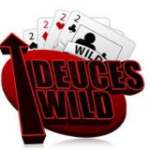 When the poker boom happened I began selling some poker-related articles and began visiting Las Vegas during the WSOP about 10 years ago purely as an entrepreneurial venture. I’d pick a few poker tournaments that interested in me and also write a few Vegas-related travel articles as well. 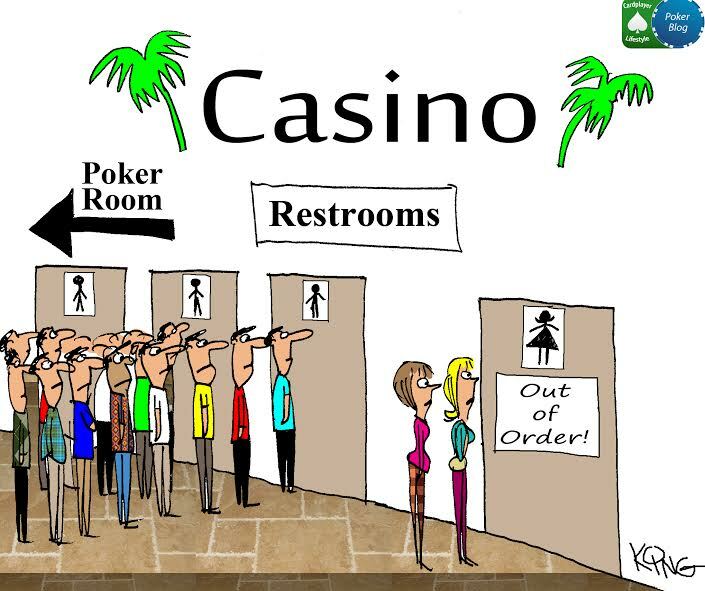 What poker outlets have you written for and which has been your favorite (one-time or ongoing) gig over the years? 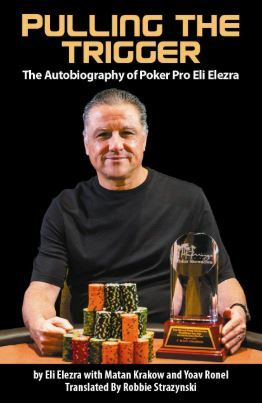 My first poker-related story appeared in Poker Pro, edited by John Wenzel. On one of my first Vegas/WSOP trips, I actually began working for Casino Player, and have contributed to that publication for several years. I even edited a special WSOP issue for them last summer called Stacking Chips. I cover everything from casino resorts to poker and other gambling and entertainment angles. I even write occasionally for CP’s sister publication Strictly Slots. I am also an occasional contributor to Casino International, based out of the UK. My work has also appeared in Canadian Poker Player, BLUFF, and Poker Player Newspaper. Sadly, those three publications are now defunct. Ir’s a tough time for print publications in general, and that includes poker. With more movement toward online poker legalization in the U.S., maybe that will change. But who knows? 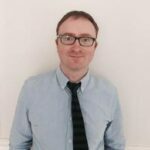 Most recently, I have been writing a bunch for PokerNews.com, and I’m really enjoying contributing. 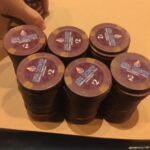 I spent four weeks at the WSOP writing feature stories and the daily “What to Watch For” article. Some of my stories turned out to be hits with readers, like my coverage of John Hesp, $10,000 heads-up warrior John Smith, and several more. It’s rewarding when a story resonates with readers and Hesp’s everyman tale seemed to resonate beyond the poker world, and that’s always good. I also spent five days at the Choctaw this summer writing feature stories for the WPT. That was really a lot of fun and they have a great group. Those guys really know how to run a tournament and bring some fun into the game. What is it that you love about poker that keeps you so interested in the game? Poker has always fascinated me for the strategy involved. But I also really love the social dynamics and camaraderie. As a writer, the game’s history and its link to the American West has always interested me. There are so many stories and characters involved with poker and gambling in general that there is always a new story to tell. What sort of job(s) did you have before getting into poker writing? In college, I once worked as a pizza delivery driver. It was good pay for a college kid but didn’t do well on my waistline. After college, I managed a computer scrap metal business before landing some jobs in newspaper reporting and editing. About 12 years ago, I started teaching and am now teaching at a high school southeast of Dallas. I teach newspaper and yearbook, and it is really cool to see my students succeed. We have really turned the program around over the last three years. On the side, a friend and I also ran a casino party business where we dealt craps, blackjack, and roulette. We have both run out of time for it now, however. We’d also run the occasional poker tournament for friends. Tell us a bit about your personal life; where you live, family, etc. I live in a small town called Crandall, which is about 30 minutes southeast of Dallas. My wife Kathy and I grew up here and graduated from high school here. We moved back here about five years ago and now I actually live right next to the practice field that I used to practice on during high school. I have two daughters, Marie, 13, and Chloe, 7. 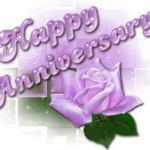 Kathy and I have been married for 18 years. My family is really important to me. 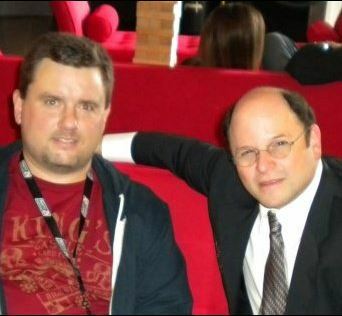 I couldn’t help but notice that your Facebook profile picture features you together with Jason Alexander. What’s the story behind the picture? 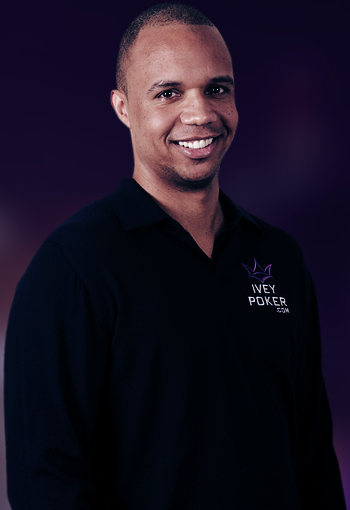 I’m a huge Seinfeld fan and he was one of the celebrities at an event I covered all the way back when PokerStars held a North American Poker Tour event at the Venetian. I couldn’t help getting my picture taken with him. He seems like a really nice guy. Maybe one day I’ll meet a few other cast members. That would be cool – even Newman and Kenny Bania. Kathy and I actually saw Jerry Seinfeld’s stand-up act earlier this year at the WinStar. It was an amazing show. I really admire great stand-up comedians. It is a real talent to make an audience laugh like that. We just saw David Spade and Dennis Miller as well as Steve Martin and Martin Short. How often do you play poker? Home games mostly or in poker rooms? Cash or tourneys? I play house games pretty regularly at my father’s house and also with some friends. I play occasionally up at Choctaw and WinStar (in Oklahoma) and make a few attempts while I’m in Vegas. Covering poker means less time to play, but that’s okay. I enjoy being around the action. And honestly, when you’ve been writing about poker all day it’s hard to muster up the energy to play sometimes. I used to play online a lot including PokerRoom.com. It was the early 2000s and it was one of the few sites that would accommodate Mac users. I really loved that site and paid for several vacations that way. Hopefully more states will get on board the legalization train. What’s the biggest misconception people have about poker writers/writing? Many think that just because you write about poker that you must be a shark. Poker is a game where everyone is always learning and trying to get better. 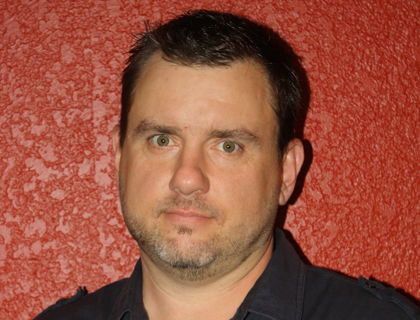 In your PokerNews author bio, it says that you’re a freelance writer. What else do you write about besides poker and where might we find some of that writing if we wanted to check it out? Beyond industry-specific publications, much of my poker and gambling-related work has appeared in other publications like American Cowboy, the Dallas Observer, Cigar Snob, the Houston Chronicle, Fort Worth Weekly, and numerous others. However, I don’t cover just poker and gambling. I’ve written about travel, crime, sports, and a plethora of other topics. I also occasionally covered billiards and have written for several pool publications. Over the last couple years, I have written some pretty in-depth crime stories and was awarded a Hugh Aynesworth Award by the Press Club of Dallas on Nov. 30 for a cold case story I investigated for Fort Worth magazine, where I am a contributor. It was quite an honor to win a statewide contest and the awards are named after a longtime Texas journalist who covered the assassination of John F. Kennedy. It was really nice to meet him. My award was supposed to be given out by longtime Texas Monthly writer Skip Hollandsworth, but he wasn’t able to make it. That would have been pretty cool. I really like his work and his book Midnight Assassin about Austin’s unknown serial killer in the late-19th century is a fantastic read and an insight into Texas history. It seemed like there was a saloon and card room in every town in Texas back then. Texas has a ton of great poker and gambling history and I like to write about that. Galveston’s casino scene in the 1930s through 1950s was a precursor to the modern Las Vegas. During that same time, there were underground casinos all over Dallas and Fort Worth. Every major hotel in Big D seemed to have an underground casino. Gangsters Benny Binion and Herbert Noble waged war with their henchmen shooting it out literally in the streets. For a great read on this, check out Gary Sleeper’s book I’ll Do My Own Damn Killin’. It was a crazy time. 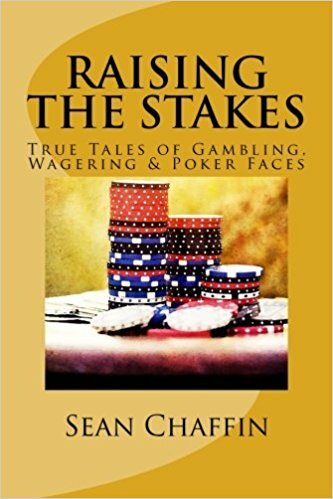 Back in 2012, you wrote a poker book entitled: RAISING THE STAKES: True Tales of Gambling, Wagering & Poker Faces. What compelled you to write the book? How long did it take from conceptualization until publishing? Tell us about your “other” career as a teacher, how you got into it, and what you enjoy most about teaching. Teaching yearbook is a lot of fun. It is really like running a publishing business. We have to sell ads and sell books, and I’ve learned a ton more about marketing! I’m really an adviser and try for students to have as much input and leadership as possible. My goal is to have everything student-led and student-directed, and things have really been going well since I took it on three years ago. I have a great group of students and a few have even been published as writers and reporters already. I have a couple students who have won some statewide awards. As a teacher, it is rewarding to see my students have success and see our program really take off. Shout out to my students in little Kaufman, Texas. Texans love their football and you seem to fit that mold as well, having played in high school yourself. How’d you get into it and what are your favorite teams to root for (local, college, and pro level)? I am a Texas A&M Aggie, but have not been as interested in college football in recent years. I love any pro football game however. I cheer for the Cowboys, but sometimes they are a hard team to like. I love fantasy football and am in four leagues. I play with a few guys I have been with since 2000. Football is huge in Texas indeed. Do you have any other interesting hobbies that you’d like to tell us about? I like to read and travel. I read mostly non-fiction including history, crime, adventure, and survival type stuff. I really enjoy authors like David Grann, Sebastian Junger, and Jon Krakauer. I also enjoy reading longer form magazine articles of course. For a while I taught beginner Spanish and I try to improve my skills in the language. 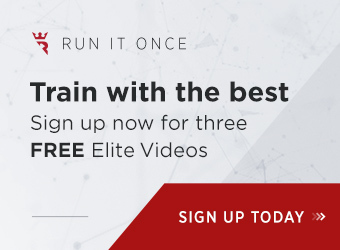 What do you enjoy writing about most in poker – lifestyle/feature pieces, op-eds, promotional stuff, tourney recaps, live/online poker news, or live reporting? 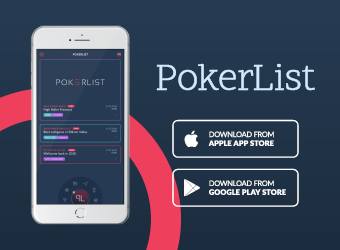 What’s something you still haven’t yet done/accomplished in poker that’s on your bucket list? Not really sure on this one. 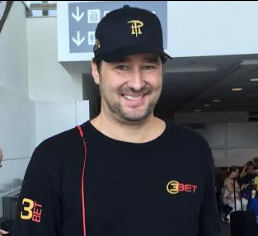 I’ve interviewed a lot of the bigger names in poker and had some good luck. I always thought a website or magazine devoted to kind of “guy stuff” and poker/gambling might be fun to edit. It could be kind of like a combination to poker, gambling, GQ, and Cigar Aficionado. But honestly I’m pretty happy with the work I am getting and where I am headed. I am really excited about the new podcast I am partnering with PokerNews on call “True Gambling Stories.” The podcast will be a bit different than most in the poker and gambling genre. There is a rich history and lore here, and we are trying to weave a narrative for listeners in the vein of some of some of these great true crime and non-fiction podcasts. I’m really excited about the project and think it can be really cool. It’s also been a challenge and is something completely new for me. Writing for an audio experience is quite a bit different. It’s really gotten me out of my comfort zone and I am excited about the possibilities. We’re hoping to debut at the end of January. We already have a Facebook page (@TrueGamblingTales) and Twitter (@GamblingPod). Please look for it and give it a listen. Check back at PokerNews for more soon. 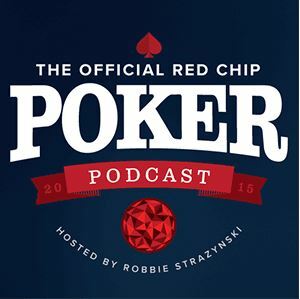 I’m partnering up with @PokerNews & @AuntyChardonnay for a new podcast. It’s called “True Gambling Stories” and debuting at the end of January. I think it will be really cool. We’ve got a new Twitter feed for the show – @GamblingPod Please give it a follow. More to come soon! Alright, the stage is yours – go ahead and let loose about something you just HAVE to get off your chest. I can’t really say that there is too much. I am generally positive about life and wish more people would be that way. 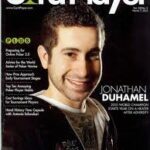 Another great article for the Cardplayer Lifestyle poker blog from a guest contributor.